Safe lifting and transportation. With lifting points for the heaviest loads. 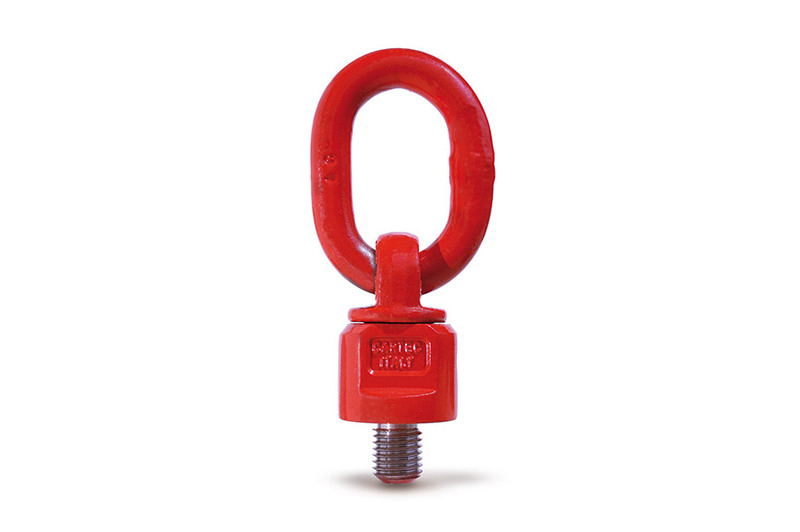 Our lifting points meet the highest safety standards for lifting and transporting loads. High-strength, highly reliable. 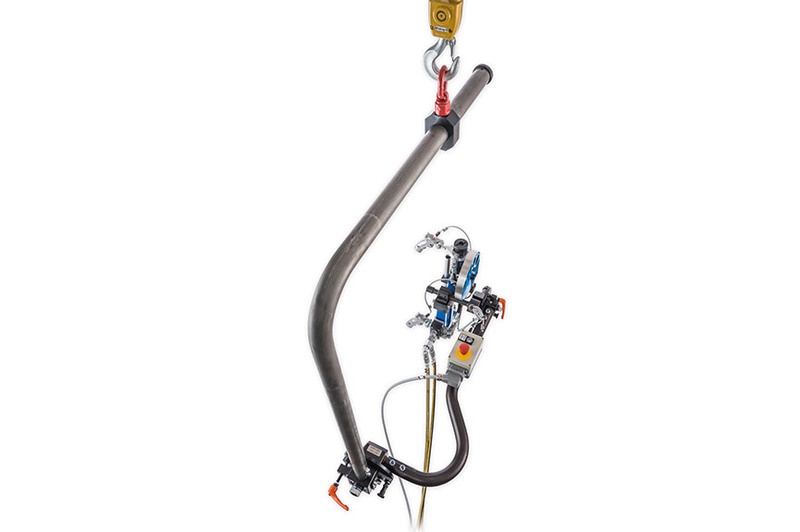 When it comes to safety and maximum permissible load capacities, our lifting points offer clear advantages over conventional lifting gear. What's more, they are quick and easy to align, even after installation – for optimum application of load. 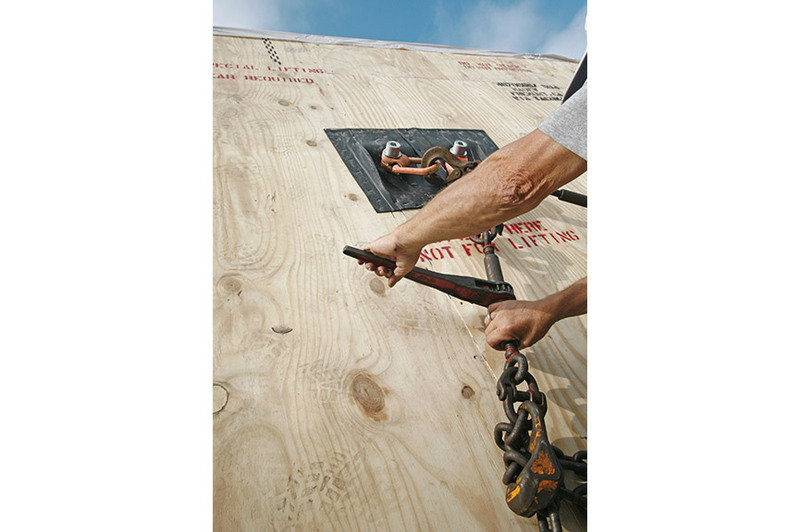 Connect lifting gear to load – safely. 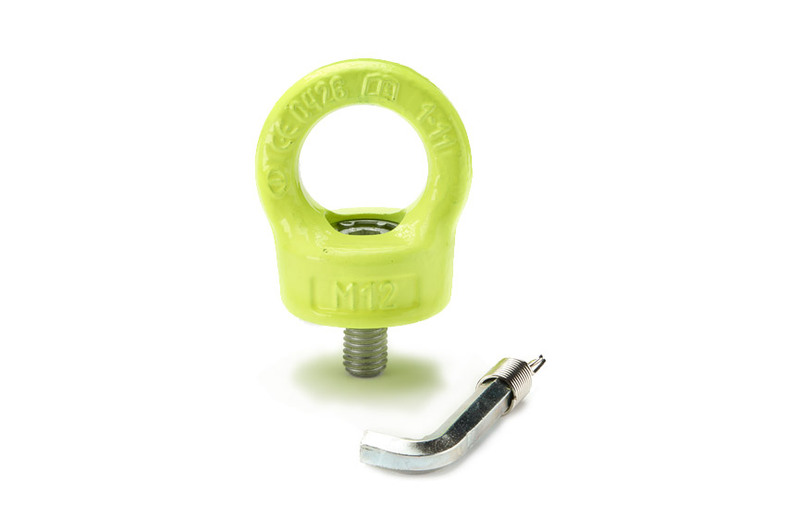 Through carefully selected materials and manufacturing methods, our lifting points achieve a higher load capacity than conventional eye bolts. Lifting points are absolutely essential to industry nowadays. The additional safety they provide means that they are in daily use: both for transporting machinery and goods and for lashing down items during transport. But because they come in such a wide variety of forms, they can also be found in movement-supporting functions or as restraints on test benches. Designed, tested and certified to GS-OA 15-04. 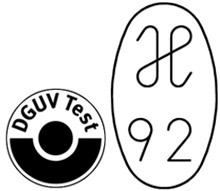 And verified by the DGUV (German Social Accident Insurance) with its "H stamp". All of our products are easy to align with the optimum force transmission. Genuine all-round protection. Quadruple safety in all loading directions. Lasting safety. Designed to withstand 20,000 load cycles. 100-percent quality. Every single lifting point has passed the Magnaflux crack test. Suitable for safe lifting in accordance with the Machinery Directive 2006/42/EC. 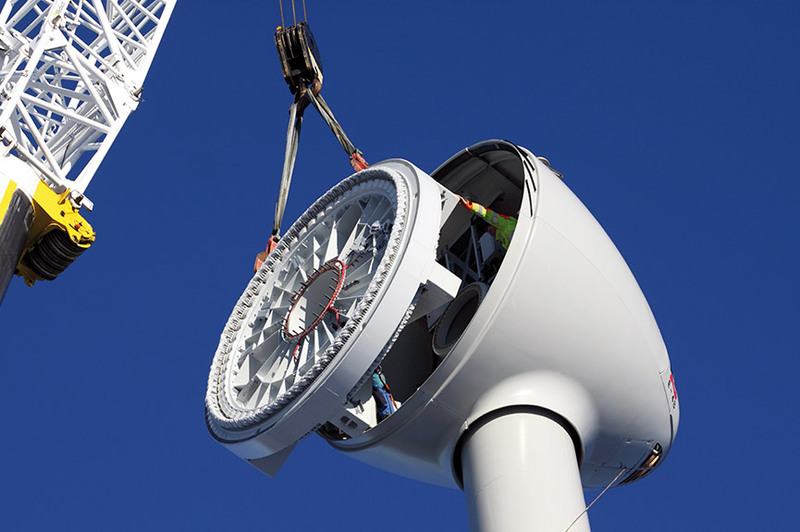 We advise on customer specific applications and develop tailor-made special solutions. 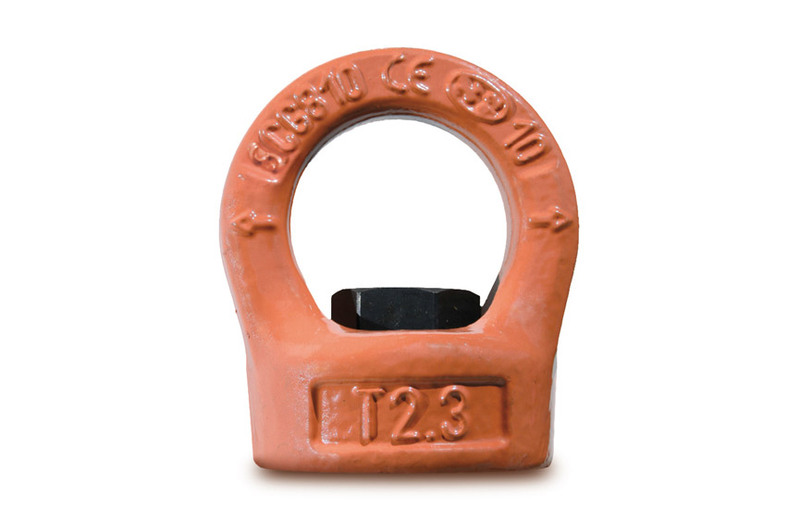 When lifting and securing heavy loads, considerable forces are exerted on the lifting points. Maximum safety is, therefore, essential for preventing injuries and damage. We guarantee quadruple safety of the load in all loading directions with our high-strength lifting points. CE-certified, of course. 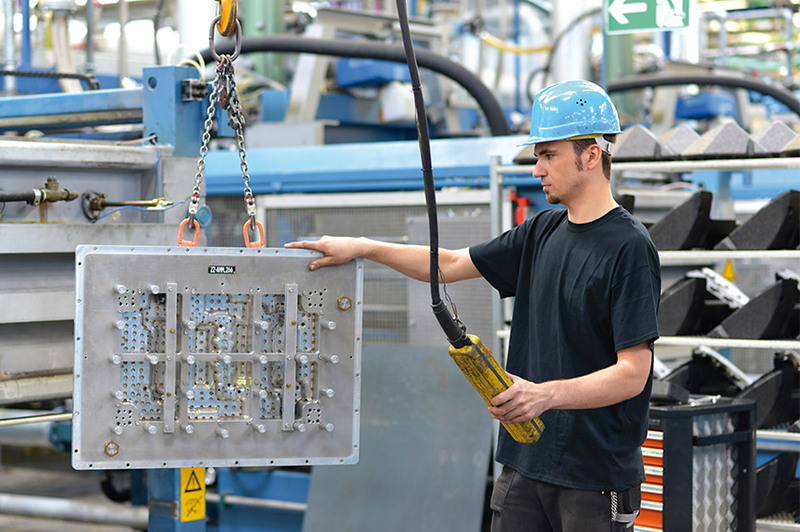 Our products are suitable for the safe lifting of loads in accordance with the Machinery Directive 2006/42/EC and meet the requirements of the German Social Accident Insurance (DGUV) regulations ("H stamp" of employers' liability insurance associations). Our high quality standards are also reflected in the final inspection and testing. Every single one of our lifting points is checked for crack damage and only approved when it passes the inspection. Each of our products is rotatable, so it is easy to align the lifting points and working with heavy loads is noticeably safer and easier. Through carefully selected materials and manufacturing methods, the high-strength lifting points achieve much higher load capacities than conventional eye bolts to DIN 580. Many variants, one goal: the optimum design of the lifting system according to its specific loads. Despite its compact design, the rotating eye bolt can carry very heavy loads. These loads can be attached to any point on the load ring. 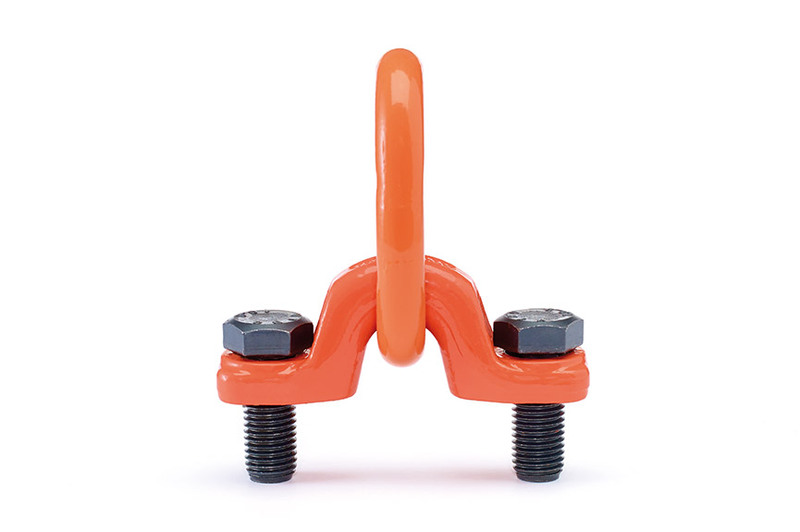 For greater ease of use, the eye bolt can be aligned in a working range of 360°, even after assembly. This ensures an optimum distribution of forces in the lifting device. The load ring includes a captive screw for quick and easy assembly. The female thread is rotatable, so the lifting point can be aligned in the optimum position relative to the lifting device. 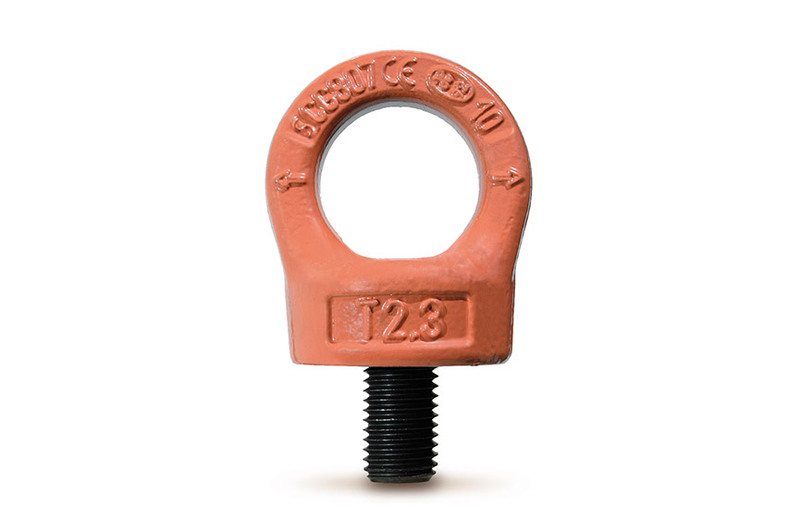 When connecting eye nuts, you must use threaded fasteners and stud bolts of property class 10.9 or more. As well as ensuring high load capacities, this significantly increases the safety aspect of lifting loads. The design of the rotatable swivel is very flexible. The ring itself can be swivelled through 180°, while the head can rotate through 360°. 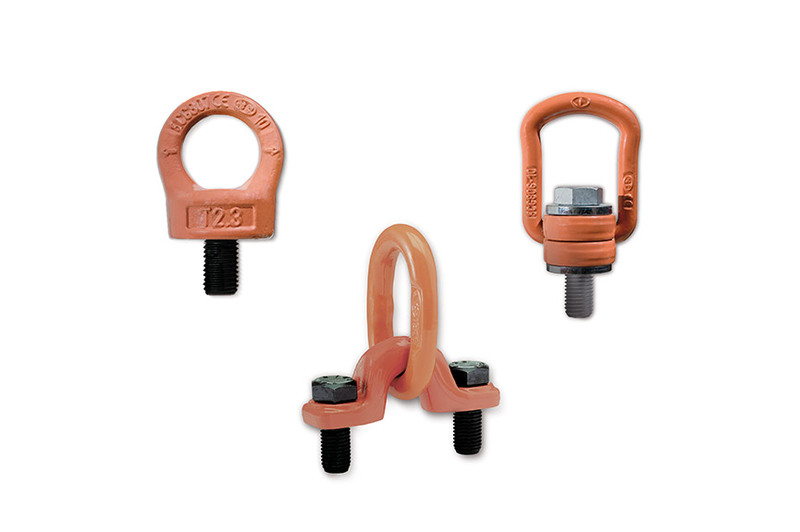 Owing to their flexibility, swivels are widely used for both lifting and transporting loads. They are suitable for almost any loading condition. In the unloaded state the swivel height is very low, so it takes up little space after transportation. The lifting eyes can absorb forces at an angle from 0° to 90°. The flexibly set position is retained by means of a clamping spring. Easy usage: the lifting eye can be rotated through 360° about its longitudinal axis. The pre-mounted captive screw allows for a controlled assembly process. The anchor bracket is fixed to the component by means of two screws. This design is particularly suitable for transferring heavy loads with lifting points – within an angle of up to 120°. Loads can also be lifted transversely to the axial direction. 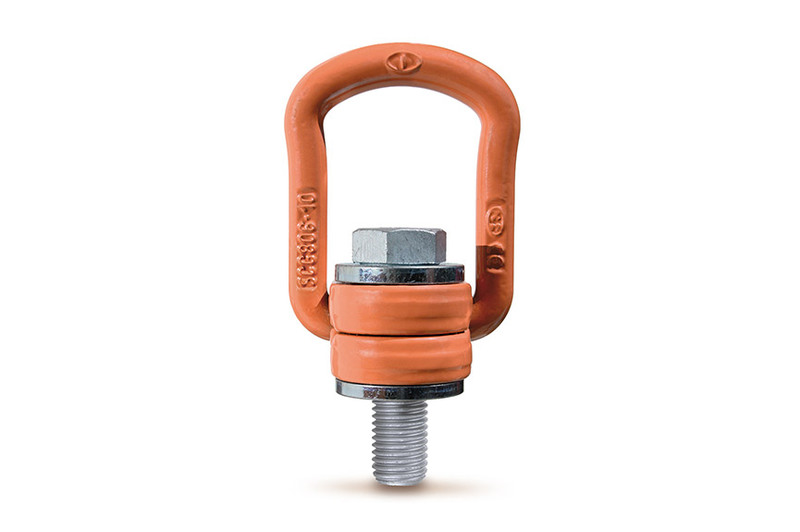 The PSA eye bolt 900 is a secure lifting point for safety harnesses. For working safely at height and preventing falls (in accordance with EN 361 by means of a suitable fastener as per EN 362). The anchor device is designed in such a way that it can only be unscrewed with a special key supplied with it.